If the name ZaSu Pitts doesn’t ring any bells perhaps the name Linda Ronstadt does. Both the early actress, who made the leap from silent to talking films, and the retired Grammy-winning pop singer are among former owners of a residence in Brentwood listed at $16.25 million. Like so many other homes with a rich celebrity pedigree, this Traditional-style house dates to the 1930s. Designed by architect to the stars Paul R. Williams, the classic 10,000-square-foot mansion draws heavily from Georgian architecture and takes in canyon, city and mountain views. Former White House designer Michael Smith updated the elegant 10,000 square feet of interiors in keeping with Williams’ vision. Remaining are the signature winding staircase and a secret passageway from the library to the master suite. There are seven bedrooms and seven bathrooms. The grounds include a swimming pool and a pool house. Pitts, who died in 1963 at 69, starred in the silent film “Greed.” With the advent of sound, she worked almost exclusively in comedies, including “Finn and Hattie” (1931), “Blondie of the Follies” (1932) and “Ruggles of Red Gap” (1935). Jody Fine and Monica Iris Antola of Berkshire Hathaway HomeServices California Properties are the listing agents. For well over a century, Los Angeles has been attracting plenty of wealthy residents seeking the success-affirming ocean views and rays of California sunshine. But when it comes to picking a neighborhood, where are the wealthy citizens of LA most likely to settle? Not too surprisingly, the answer seems to be Bel Air—where developers of behemoth megamansions are on a real tear lately. Recent results (via The Atlantic Cities) reveal that, of the top 1,000 wealthiest neighborhoods nationwide, a total of 55 of them are in LA County. We've gone and narrowed it down even further, picking out the top 10 in LA County. Some of the usual suspects, like Beverly Hills (also distinguished as the most unequal city in California), obviously made the cut but there are quite a few surprises (and curious absences) on the list. "A small change in boundaries, particularly if apartments, condominiums are included, can cause a neighborhood's income to plummet. The neighborhood that was number one in 2000, Holmby Hills in the Platinum Triangle had its boundaries redrawn to take in smaller homes in Westwood and hundreds of so-so condo high-rises on Wilshere [sic x100]." 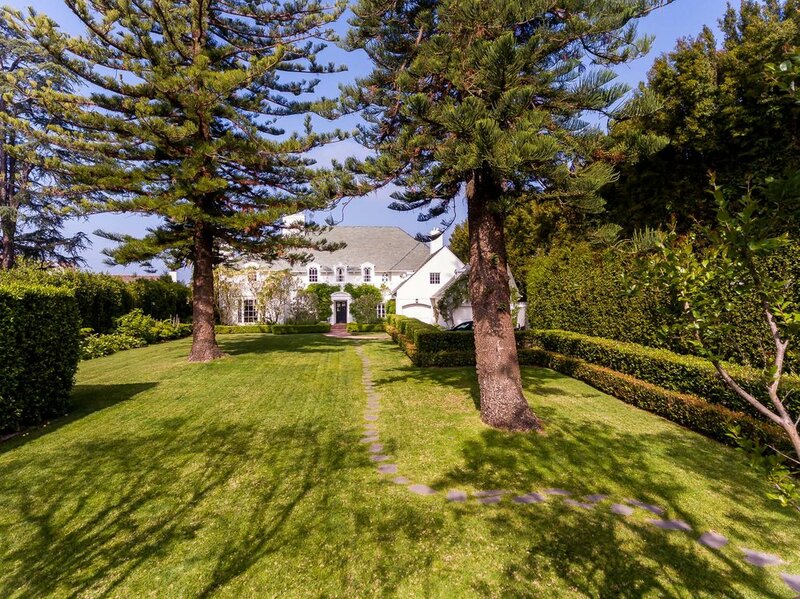 Holmby Hills sunk to six-hundred-seventy-seventh place in this round of the Higley. The longtime personal estate of the late Modernist architect Pierre Koenig and his wife, Gloria, is on the market for the first time in 32 years. The Brentwood home, which was designed by Koenig himself, has an asking price of $3.8 million. The nearly 3,000-square-foot property has three bedrooms, two bathrooms and a media room. Koenig’s onsite studio opens onto a courtyard with a fountain, Curbed reported. The Dorothy Street home is historically archived as “Koenig House #2” by the Los Angeles Conservancy, according to the conservancy. Koenig designed its steel framing system to be easily assembled on site. As such, it took workers only one day to build it. Koenig is famous for the Stahl House or Case Study House No. 22 on Woods Drive as well as Case Study House No. 21 on Wonderland Park Avenue.